New England winters can be rough but they can also provide great photo ops. 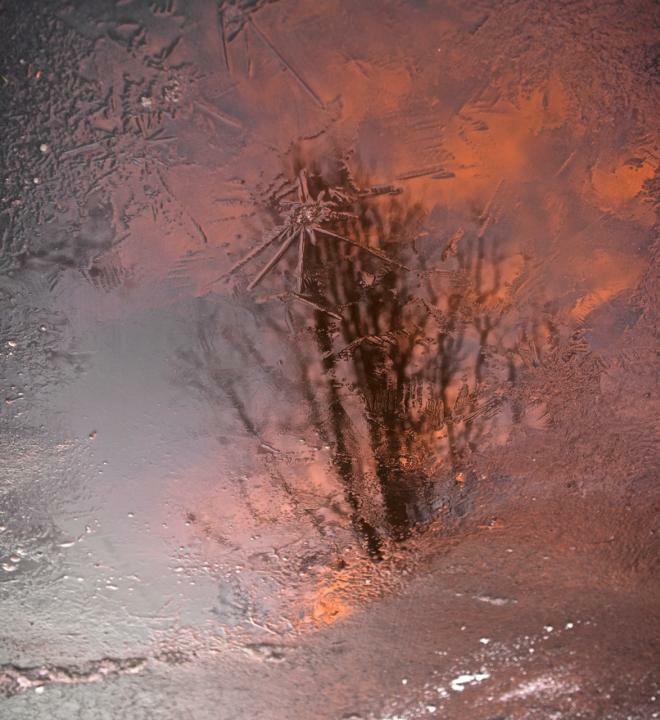 Refection of a tree at sunset in a patch of ice. Nikon D610 ISO400 taken at f2.2 and 1/25 second. Image created by Kristie Kistner. Thank you so much to the editors at Shutterbug Magazine for choosing my photo, "Frozen" to be featured in the June issue. Its quite an honor!